Marc is a member of the Class of 2018. 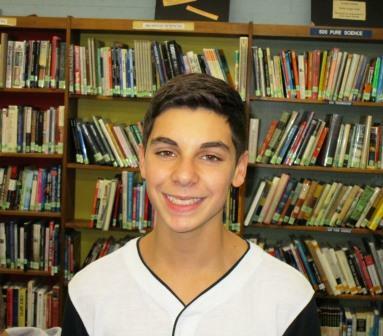 He is also a member of GSA (Gay Straight Alliance), Math Team, and Drama Club. His other interests include gymnastics, trombone, food, and cello. He enjoys writing about technology, current events, and food. His favorite story that he has written is about the iPhone 6. After high school, Marc plans to go to college. He hopes you enjoy his articles.